I want both my daughters to be financially responsible adults so I’m doing the best I can to teach them how to save money and understand how money works. Both girls seem to have a good grasp and don’t go nuts when I take them shopping and want me to buy them the whole store. Although they do have their moments they seem to be on the right path. 1. Practice What You Preach. This is basically leading by example and be a good role model to my kids. I’m not an extravagant spender and will tell my kids when I’m saving up for something. I don’t like to put things on credit if I don’t have to. 2. Get the Knowledge. You can’t teach someone something you don’t already know yourself. I’m thankful for my dad educating me about budgeting and managing my money. He’s drilled in how important it was to save money and live below your means since I was a young girl. I’ve also read books on budgeting and how to invest and feel that I have a pretty good grasp of the subject. I’m confident I can pass along this knowledge that my dad taught me to my children. 3. Start Right Away. Start when they are young although its never too late to start. Better late than never as they say. I remember starting with Bridget when she was about 3 years old. I would give her two dollars to spend at the store and had to tell her when something she wanted was more than what she had and that she couldn’t go crazy and buy everything she wanted. 4. Give them an Allowance. Start young with this as well giving them age appropriate chores and pay them weekly so they see the rewards of their work. When Bridget was little, her jobs were to pick up her toys and put them away after she was finished playing with them. Now that both girls are older, they can do bigger jobs like sweeping, dusting, doing the dishes, folding laundry. My oldest daughter, Olivia, does her own laundry now! 5. Teach them to Save. Both girls always had a piggy bank where I would put my pocket change. A few years ago we rolled all the pennies together and took them to the bank and put them in their savings accounts. In addition, they need to save part of their allowance and can save up for a bigger ticket item they want. Olivia wants an iPad2 really bad so I told her to save her money! 6. Teach them about Investing: Since both girls were born all their birthday money has gone into an education savings plan to save up for their post-secondary education. I also contributed monthly to it as well. When they were a older, I showed them the statements of their investments when they came in the mail and explained about interest and how money can grow when you invest it. I think Olivia understands the concept of compound interest more than Bridget does! 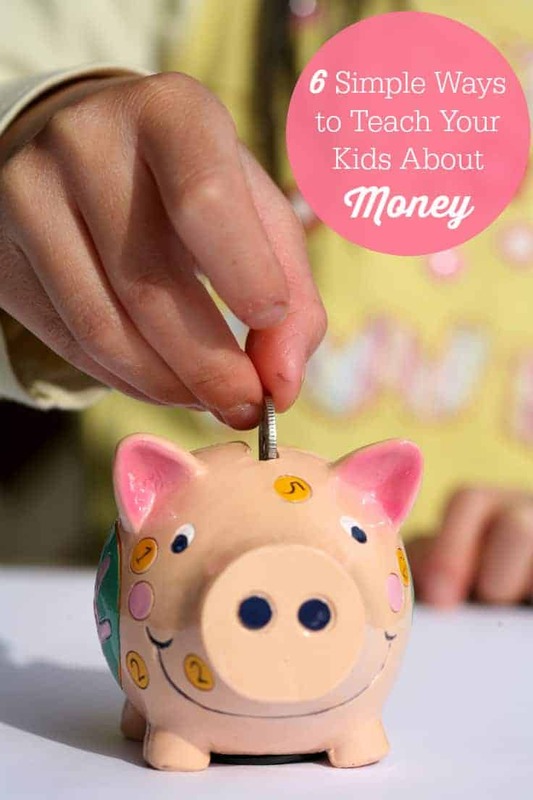 Do you have any tips you use to teach your kids about money? I’d love to hear them! Great post Stacie! I think it’s important for kids to realize how money works and the benefits of investing/saving works as well. Our little guy seems to think that money is something that everyone has and when you don’t have it that things are free. If only it was that easy, lol!